How Beneficial Are Organic Meals to Your Child? The healthy and active child is very engaged in their learning growth as well as development. When they have eaten well, particularly, with their breakfasts, they will be able to focus more on their activities and can absorb the lessons pretty well. For this reason, parents have to provide serious attention to what their child is eating. Your child’s nutrition is a great factor in their overall development. As a leading bilingual preschool in Virginia, we encourage you to give more emphasis on feeding them with organic foods in balanced meals. 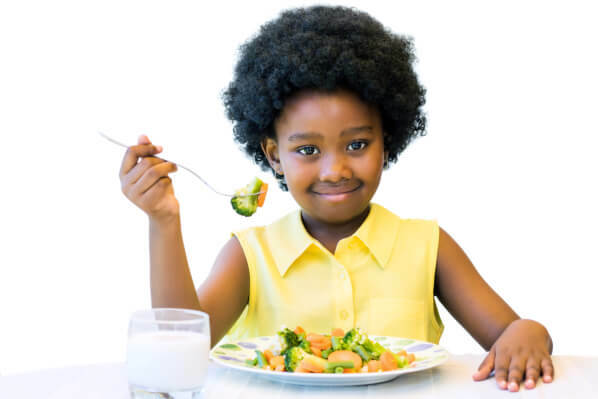 We’ve compiled the following benefits of organic meals for your little one. These nutrients include vitamins and minerals that fill up your child’s recommended dietary allowance. When your child is always fed with these kinds of meals every day, they will have fully taken the nutritive value they rightly need. Toxins can come in many forms, including the pollution outdoors, bacteria from infection, and unhealthy elements from junk or processed foods. Fruits and vegetables contain anti-oxidants that cover up the cells so that these toxins will not be able to harm and destroy these cells. As a result, your child can lower their chances of allergy or infection when you go for organic foods. Because of the natural healthy elements of organic foods, the nutritional elements are able to seep into the child’s system, resulting in the outworking of good and happy hormones. When they’re healthy, they’ll be more alert and participative, engaged and friendly, so that the chances of isolation and depression are very minimal, if there ever are. This condition is very common in children in their developmental years. While there are medical treatments for ADD, many parents are hesitant for this since they’re concerned about the possibility that the medicines might affect their child’s development. Non-organic foods are also rich in unhealthy ingredients such as too much sugar, which can be a great trigger for ADD behaviors. When they consume organic foods instead, the unhealthy elements are reduced. As a premier preschool in Virginia, we highly advocate for religiously meeting your child’s nutritional needs. We recognize that their nutrition is a key requirement for them to learn well and fast in their classrooms. When they’re well-fed not just with organic meals but also with balanced servings, they can grasp their lessons efficiently especially if they’re enrolled in a bilingual daycare in Washington, DC. Your child can be easily enticed with candies or processed foods, but with your guidance and influence, they can live a healthy lifestyle with organic foods on the table. If this piqued your interests especially about our programs at Early Steps Bilingual Preschool, feel free to inquire. This entry was posted in Organic Meals and tagged Balanced Meals, Child’s Development, Child’s Nutrition, Healthy Lifestyle. Bookmark the permalink.